If you own a computer, then we’re pretty sure that you’ve heard that Microsoft has released the new Windows 10 operating system on July 29, 2015. It seems that the American multinational technology company has launched a new preview build of the Windows 10 that comes with a lot of fixes and improvements. The new Windows 10 build is dubbed as 10525 and it comes with some changes that the users have required Microsoft to bring. The new build 10525 is already available for download for the Windows 10 Insider users on the “fast ring” lane. According to Microsoft, there were a lot of feedbacks about the color options for Windows 10. As soon as you will install the new Windows 10 build on your computer, you will notice that you will be able to change the UI color with ease. You will find this option by going to Settings->Personalization->Colors and by enabling “Show” color on Start, task bar and action center. It is good to know that the color that you set there will also reflect on the title bar of applications. Microsoft confirmed that they are also testing the memory improvements in Windows, which will significantly reduce the RAM consumption on all running applications/services. With other words, you will be able to run more applications, and your user experience will be improved. If this will truly work, we will most likely see fewer “modern” applications resuming after idling for a few minutes. It is good to know that the new build also comes with a few glitches. For example, the built-in mobile hotspot feature is not working and you will need to update the Movies & TV application or else you will have issues when trying to play a video. Keep in mind that these new features will most likely be released for the Windows Insider users in “Slow ring” lane pretty soon. In case the users will enjoy the changes, then Microsoft will react and bring them to the regular Windows 10 users in a future update. Microsoft said that the company is planning to bring extensions to the Microsoft Edge browser, but that will happen in a future build, when a new Messaging application will be added. Microsoft is continuously working on fixing the bugs that are currently found in Windows 10. There are less than three weeks since the Windows 10 was officially released and Microsoft has brought three major updates to the new operating system. Currently the number of Windows 10 users is almost equal to the number of the Mac OS X users worldwide. This means that Windows 10 was received well and there were a lot of users who either purchased it as soon as it was released or upgraded from Windows 7/Windows 8 for free. It seems that the Windows 10 was also released with a lot of bugs. Some of these bugs were also found on built-in applications such as Calendar, Windows Store or Mail. According to StatCounter, on August 16, the Windows 10 OS was operating on 6.55% of computers. Back then, the Mac OS X was installed on 8.36% of the computers, while the Windows XP was a bit ahead of Mac OS X, being installed on 9% of the computers from all over the world. As we’ve told you above, the Windows 10 OS is currently passing the Mac OS X and it is getting close to the Windows XP. This is mostly because the Windows 10 was offered for free for the users who own a Windows 7 or Windows 8 license. When the Windows 10 OS was released, 14 million computers and tablets were already running it. We remind you that the Windows 10 OS for mobile devices will also be released this fall and we’re pretty sure that a lot of users are waiting for it. Currently, Windows 10 is available in 190 countries and it supports 110 languages. The new operating system will still be offered for FREE for anyone who has a Windows 7 or Windows 8 license, but keep in mind that this deal will end on July 29, 2016. 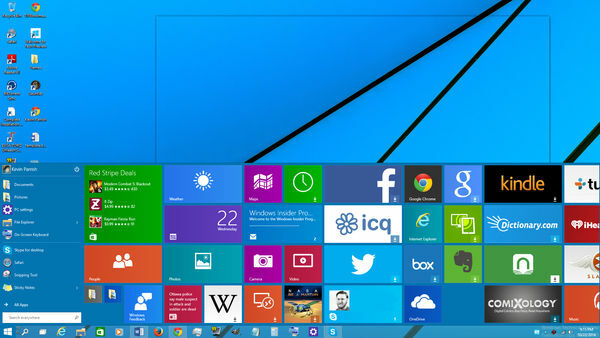 Microsoft has released the new Windows 10, which is intended to be a multiplatform tool. With other words, it will run on computers, tablets, consoles and even smartphones. The developers have added a lot of stuff to the Windows 10 such as: Maps, Cortana (the virtual personal assistant), a revamped Windows Store, the Microsoft Edge web browser, the new Photos application and the Start menu was brought back, making a lot of users more than happy. All of the changes convinced many users to ditch their Windows 7 and Windows 8 OS and we’re pretty sure that they will never regret their decision. 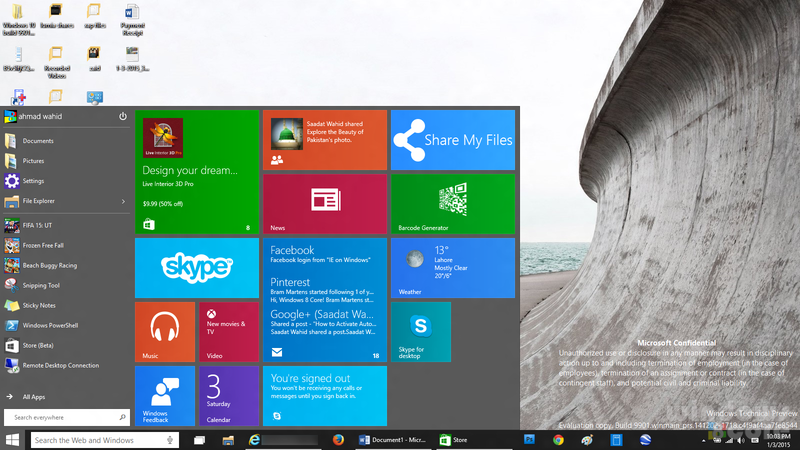 Have you installed Windows 10 OS on your computer yet? What are your thoughts about it?